“Money For Nothing” was the big hit, capturing the zeitgeist of the moment by both pandering to and making fun of the video-making process that had overwhelmed pop music at the time. And “Walk Of Life” was the crowd-pleaser, a song that soared up the pop charts on the force of its sheer goodwill. 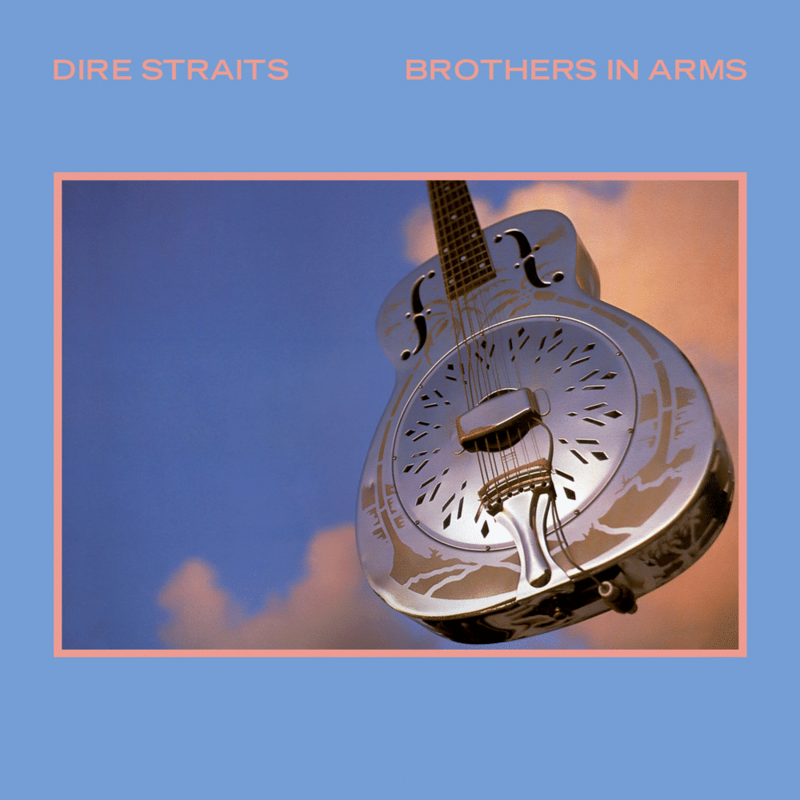 What’s striking about “Brothers In Arms” is just how much Knopfler manages to convey in a minimum of words. With startling efficiency, he inhabits the soul of a wounded soldier who muses on his surroundings and waxes philosophical as his life ebbs out. It seems likely that Knopfler had the Falklands War, which took place in 1982 between the United Kingdom and Argentina, in mind when he wrote the song. But by keeping specifics out of the narrative, he makes the song a timeless treatise on the senselessness of war. “These mist-covered mountains/Are a home now for me,” the narrator begins, contrasting that with the “lowlands” where he grew up. He foresees a time for his cohorts when they’ll leave the battlefield and return to their “valleys and their farms”, a fate he won’t enjoy. He also admires and cherishes his fellow soldiers’ bravery amidst the war’s chaos and tumult. Thanks to Knopfler’s sensitive songwriting and heartfelt guitar heroics, “Brothers In Arms” has proven malleable enough to fit just about any setting. But it ultimately brings us back to that lonely mountain where we marvel at the humanity of soldiers even as we’re confronted with the inhumanity of war.